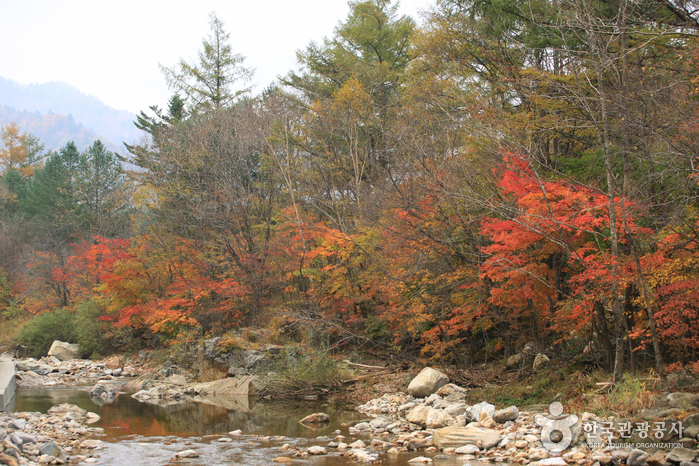 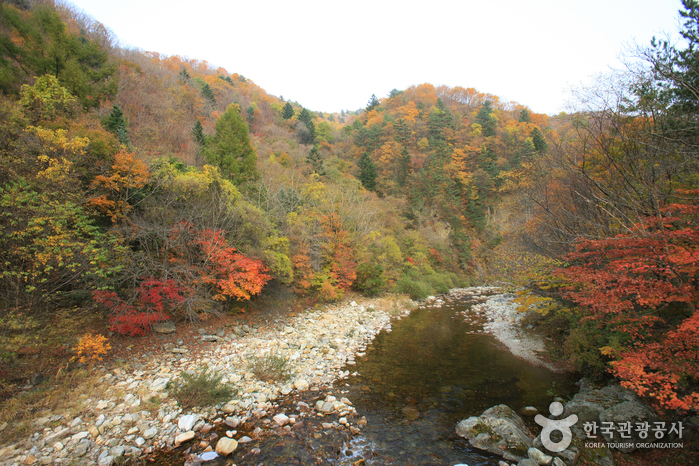 Odaesan Mountain is located in the central and eastern part of Gangwon-do. 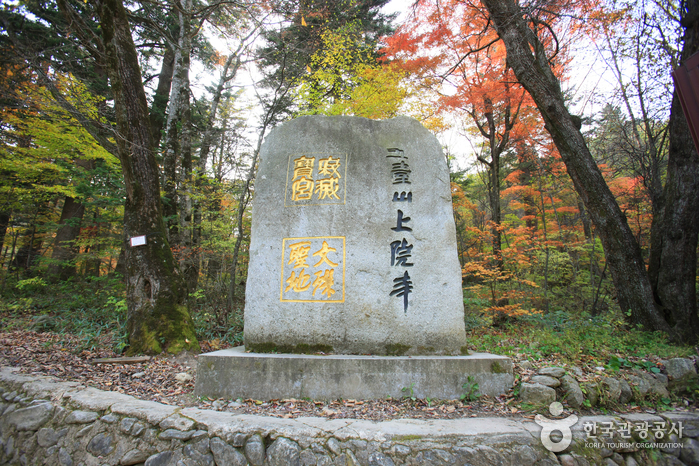 The mountain was designated a national park in February 1975, including an area of 298.5㎢ centered on the highest peak, Birobong Peak (1,563m). 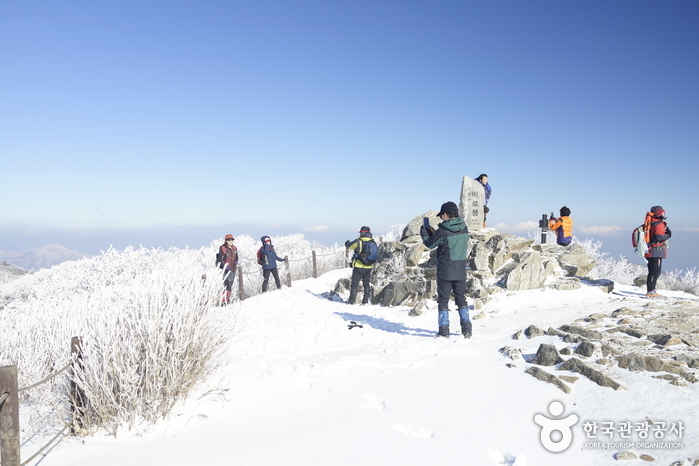 Other peaks include Horyeongbong, Sangwangbong, Dongdaesan, and Durobong. 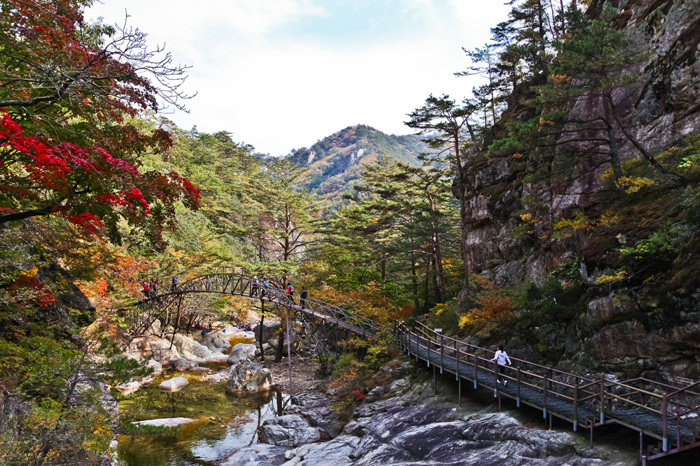 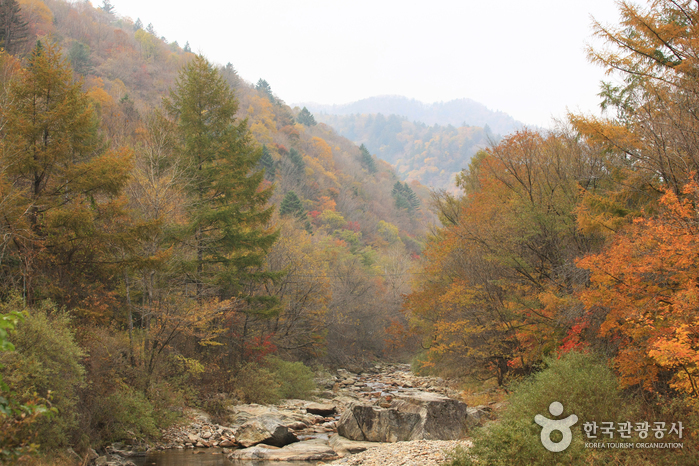 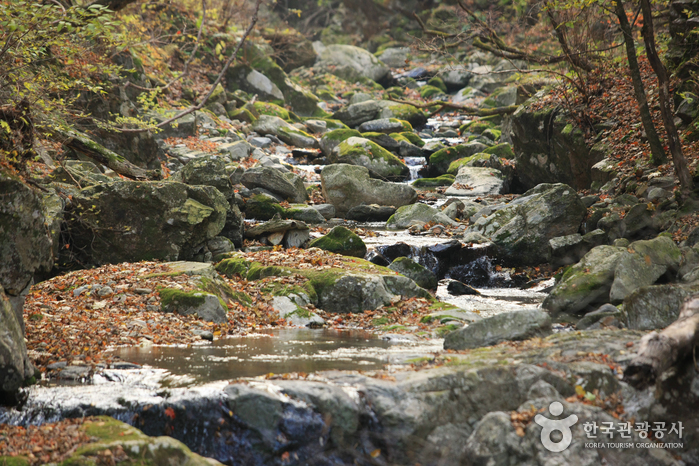 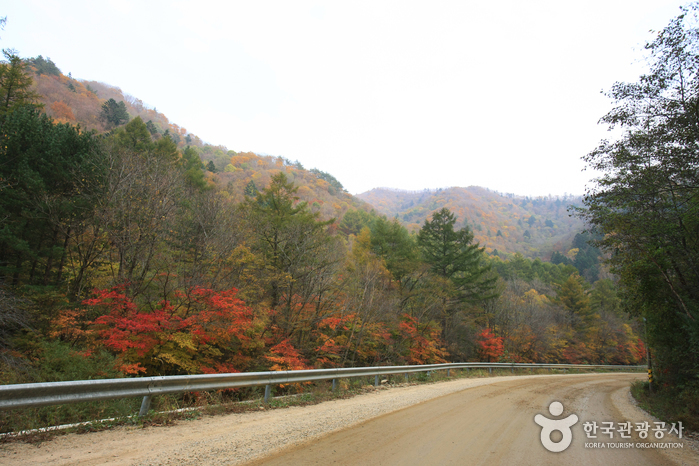 Odaesan has the largest natural forest of Korea, home to many wild animals and plants. 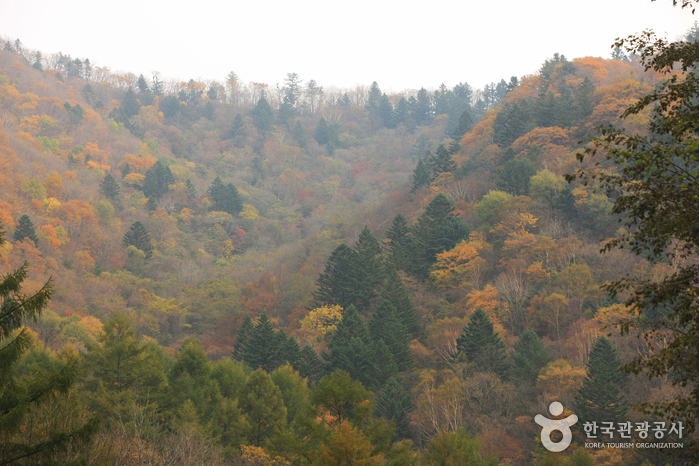 The area of Birobong Peak is famous for its Nuncheunkbaek and Yew tree forests. 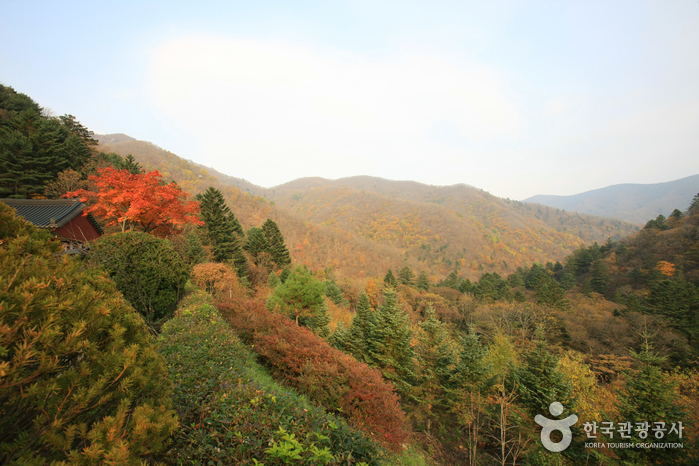 The royal azelea and Geumgang Chorong from Durobong Peak to Sangwangbong Peak are famous and there are animals such as boars, musk deer, turtledoves and colorful woodpeckers living here. 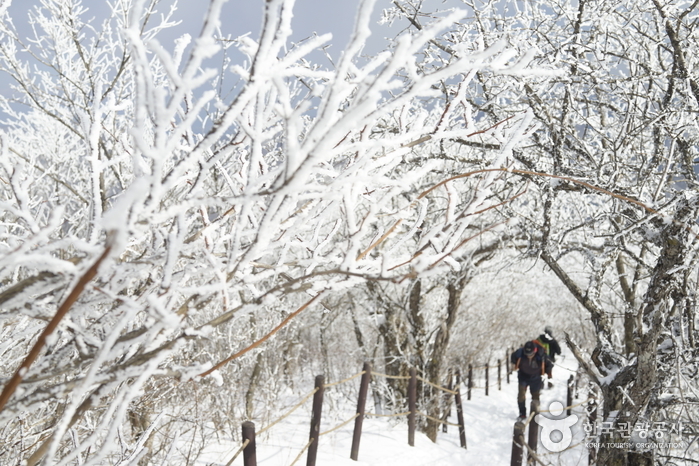 * Subject to abrupt closure due to adverse weather conditions. 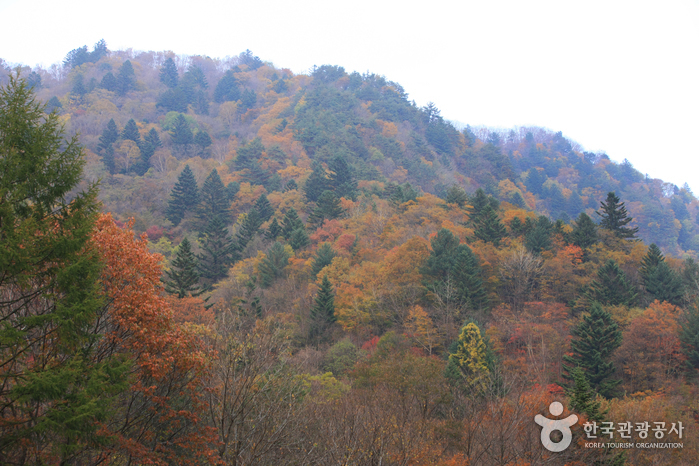 * TBD by park rangers based on weather advisories, snow/precipitation levels, and other local conditions. 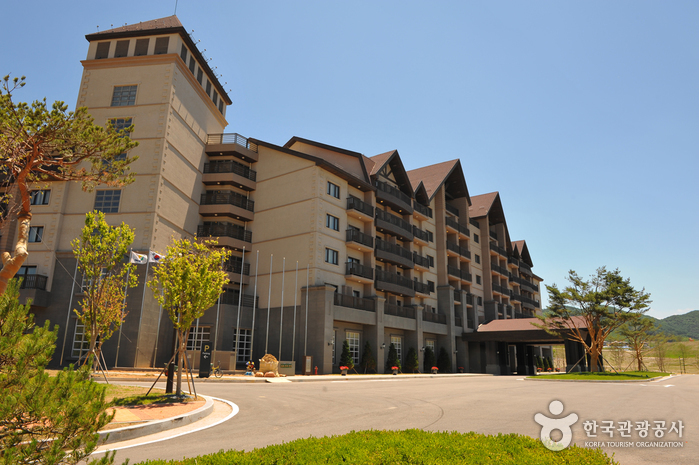 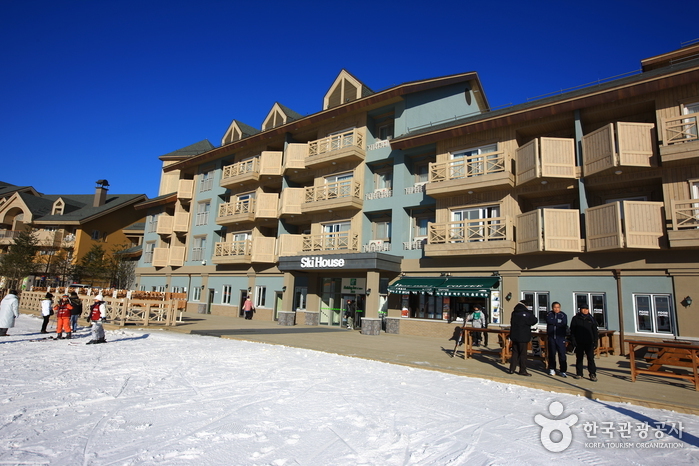 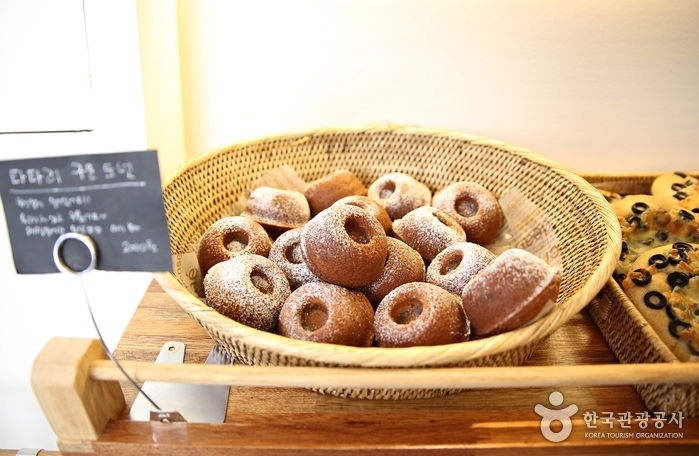 Please visit the official website to check before visiting. 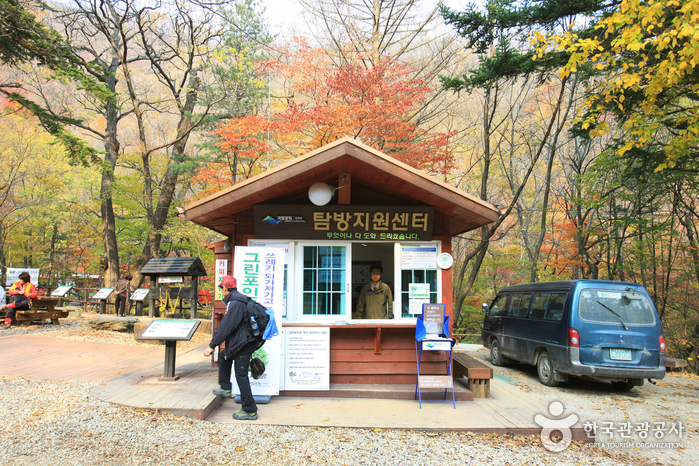 To protect the environment and ensure the safety of hikers, hiking is prohibited at night (from sunset until two hours before sunrise). 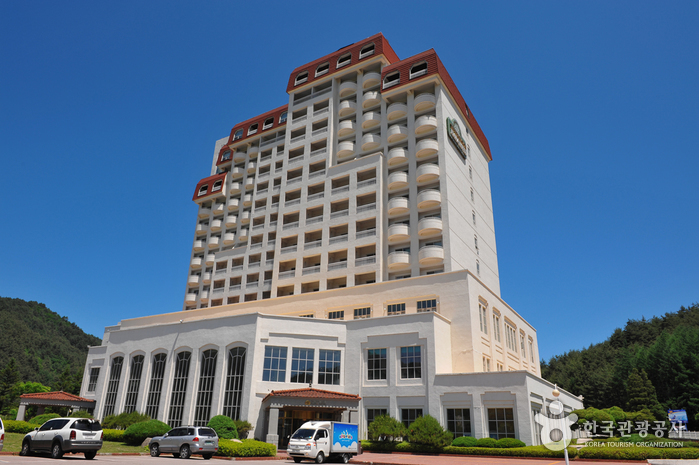 * Jingogae Parking Lot has no parking fees as the parking lot is a subsidiary facility of the service station. 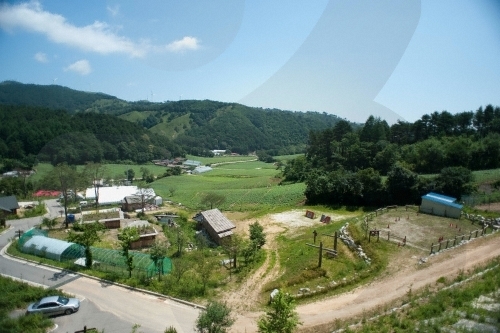 Take a bus from Dong Seoul Bus Terminal to Jinbu (진부). 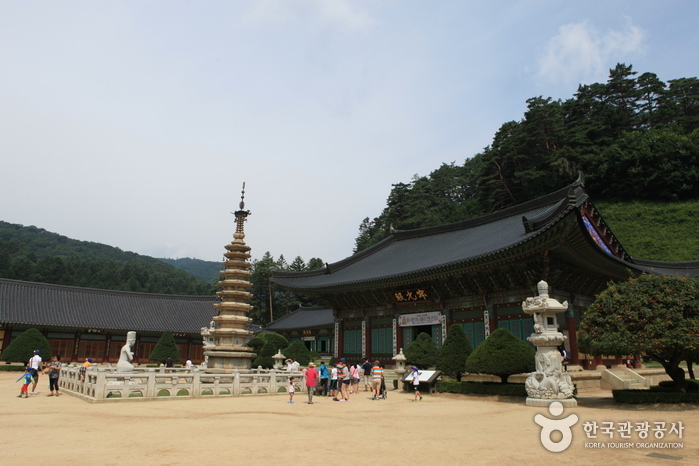 From Jinbu Bus Terminal, take a local bus bound for Woljeongsa Temple (월정사) or Sangwonsa Temple (상원사).